Although Clover found his combined ether/nitrous oxide inhaler suitable for most situations, others desired simpler apparatus for giving ether alone. Ether, as it vaporises, cools the container and therefore stops vaporising - a cycle which ultimately prevents ether being delivered to the patient. Some system for warming ether is therefore required and Clover ultimately designed this inhaler with a small warm water jacket which was not too heavy and could be warmed by the administrators hand. It was his most popular inhaler and was used for many decades, well into the twentieth century. 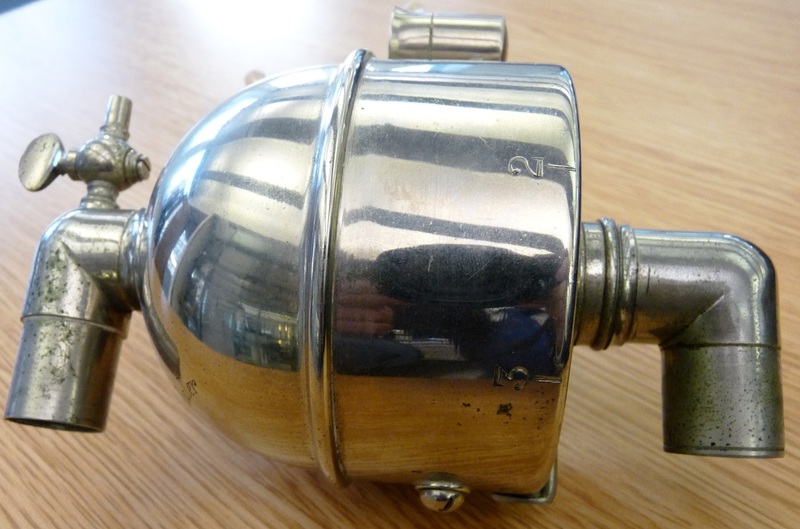 The many inhalers which followed, designed by others such as Frederic Hewitt, Ludwig Bruck and Robert Probyn-Williams, were all essentially modifications of this inhaler. He outlined its advantages: "1. It has no valves; 2. It supplies the vapour so gradually, that the patient breathe quietly; 3. It produces sleep in two minutes; 4. It does not require fresh ether during the continuance of an operation; 5. The recovery from a short operation is more speedy than with most other inhalers; 6. It does not need to be warmed before it is used; 7. No sponge or felt is required; 8. Ether left in the inhaler can be saved for another time."